Bishop Paul Lee Leeland was born in Washington D.C. He is a graduate of North Carolina Wesleyan College (B.A. ), Duke Divinity School (M.Div. and Th.M.) and North Carolina State University (Ed.D.). He was ordained by Bishop Robert Blackburn in 1976. He was received into the North Carolina Conference where he served churches until his appointment as District Superintendent of the Goldsboro District. He was then appointed as Assistant to the Bishop and Director of Ministerial Relations serving under two bishops. Paul Lee Leeland was elected to the Episcopacy by the Southeastern Jurisdictional Conference in 2008 and was assigned to the Alabama-West Florida Episcopal Area. He has served on the General Board of Church and Society (2008-2012) and as President of the General Board of Pensions and Health Benefits (2012-present). Bishop Leeland serves the Council of Bishops as Chairperson of the Finance Committee. He also is a member of the Duke Divinity School Board of Visitors. In 1968, Janet Elaine Dowell and Paul Lee Leeland were married. They have three married children: Rebekah, Nora and Paul. They have six grandchildren: Ryon, Joshua, Andrew, Madeline, Will and Reid. 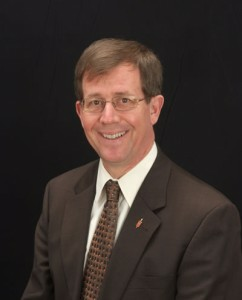 Bishop Scott Jameson Jones currently serves as the resident bishop of the Great Plains Area of the United Methodist Church with offices in Wichita and Topeka, Kansas, and Lincoln, Nebraska. He was born in 1954 in Nashville, Tennessee, and was raised in Tennessee, Illinois, Indiana and Colorado. He received degrees from the University of Kansas (B.A. in Philosophy), Perkins School of Theology of Southern Methodist University (Master of Theology) and Southern Methodist University (Ph.D. in Religious Studies). His dissertation research was focused on Wesley Studies and the History of Biblical Interpretation. He was ordained deacon in the Kansas East Annual Conference and elder in the North Texas Annual Conference. From 1986 to 1997 he served as pastor of three congregations in North Texas. In 2003-2004 he served as interim pastor at Stonebridge UMC in McKinney, Texas. From 1997 to 2004 he served on the faculty of Perkins School of Theology, Southern Methodist University in Dallas, Texas. In 2004 he was elected a bishop by the South Central Jurisdictional Conference and assigned to serve as the resident bishop of the Kansas Area as of September 1, 2004. Beginning September 1, 2012 he serves as resident bishop of the Great Plains Area comprising the Kansas East, Kansas West and Nebraska Annual Conferences. He currently serves as a member of the General Commission on Religion and Race. 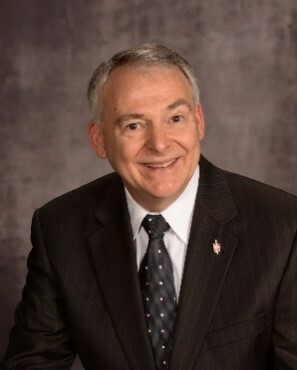 Additionally he currently serves on the Board of Trustees for Southern Methodist University, Saint Paul School of Theology, Southwestern College, Kansas Wesleyan University, Baker University and Nebraska Wesleyan University. His most recent books are The Future of the United Methodist Church (2010), Staying At the Table: A Gift of Unity For United Methodists (2008), Evangelistic Love of God and Neighbor: A Theology of Discipleship and Witness (2003), and United Methodist Doctrine: The Extreme Center (2002), all from Abingdon Press. Other books he has written include John Wesley’s Conception and Use of Scripture and Gathered Into One: The World Methodist Conference Speaks. He was co-author of Wesley and the Quadrilateral: Renewing the Conversation. He has been named associate editor of volumes 5 and 6 in the Bicentennial Edition of The Works of John Wesley, the scholarly edition of Wesley’s Explanatory Notes Upon the New Testament. 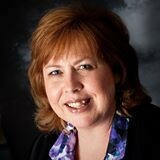 Sue Engle is the Lay Resource Leader for the Paducah District, Memphis Conference. She is part of the design and implementation team to develop strong spiritual leadership through the Generative Leadership Academy. In the second year, more than 200 people have participated and serve as leadership within their local churches as well as in District ministry. Recently, Sue worked with the District Leadership Team to develop Mission Blitz. Each church in the Paducah District was invited to serve together in the community. The March blitz was so successful, the district will be repeating the event in September. Mission projects included building homes, feeding the community, visiting and worshipping in county jails and nursing homes, repairs for community ministries, prayer walks, food pantries and wheelchair ramps. Sue maintains a resource library, leads workshops on spiritual formation, teacher training, strategic planning, and intentional discipleship teams. Her passion for faith formation and generative leadership has led to opportunities to meet and study with many of the people who are making a difference in the world. She has also served as programming staff for a local church, led the Strategic Mapping Team in writing a mission and value statement for the Memphis Conference, and currently leads the Intentional Discipleship Team for the Memphis Conference. She attended Wesley Theological Lay Academy, the Two Year Academy for Spiritual Formation, and completed certification in Christian Education through Martin Methodist. She is active in the Emmaus Community, serves as a Stephen Minister, and has been certified as a Lay Minister. Beginning in June, Sue will be serving at Trinity UMC, as lead pastor. Sue is a native of Pittsburgh, Pa and still a strong supporter of the Pittsburgh Steelers. She married her college sweetheart Mark, is the mother of Matthew, Timothy and Samuel, and the proud grandmother of Nathaniel and Zachary. Sue and Mark just returned from a trip to the Holy Lands where they enjoyed seeing biblical history come alive and meet the wide variety of people and cultures that live today in Israel. Rev. 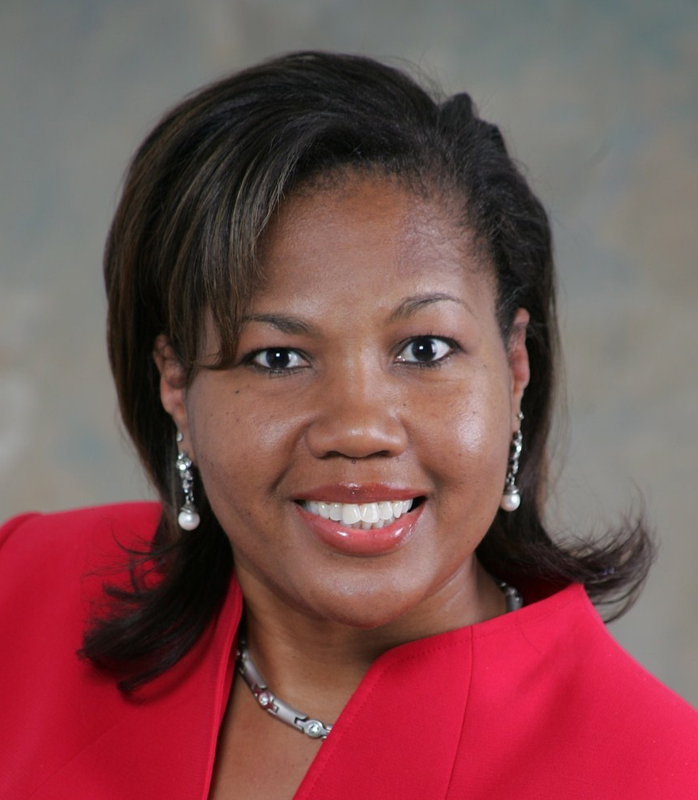 Candace M. Lewis serves as a New Church Strategist with Path1 New Church Starts at the General Board of Discipleship in Nashville, TN. As a strategist, she seeks to resource Annual Conferences and new church planters with best practices in starting new churches. Candace is an Ordained Elder in the Florida Annual Conference of the United Methodist Church. She is founding Pastor of the New Life Community United Methodist Church, where she served from 1997 – 2009 in Jacksonville, Florida. As a new church Pastor, the church started in June 1997 with seven persons. In eleven years, the congregation grew to over 200 members. The ninth year, New Life moved from leasing shopping center space to purchasing and owning church property on six acres which includes a sanctuary, youth building, office space, classrooms, fellowship hall and additional room for growth and expansion. The Village Child Development Center and Christian Academy was established where over eighty children were cared for daily. The children’s age ranged from infants to five year olds. Over 15 full and part time jobs were created in our community. God has given New Life a vision, and mission, and ministries to help reach the next generation for Jesus Christ. Rev. Lewis received her undergraduate degree from the University of Florida majoring in Speech Communications in 1990. Upon graduation, she was awarded the Distinguished Outstanding Female Student Leader Award for excellent service in leadership while at the University of Florida. The call to ministry came when she was twenty-two years old and she obediently followed God, accepted the call and enrolled in Gammon Theological Seminary in Atlanta, Georgia to begin preparation. Four years later, she received the Master of Divinity degree with a concentration in Pastoral Care and Counseling. She traveled to South Africa and Zimbabwe in 1996 to participate in a Biblical Studies Tour. Reverend Lewis traveled to London, England in 1999 to participate in the John Wesley Study tour. She participated in the Harvard Divinity School’s Summer Leadership Institute on Faith Based Community Economic Development in June 2000. In May 2001, Reverend Candace preached in Nassau at the Bahamas Conference of the Methodist Church. Reverend Lewis traveled to Hong Kong, China in March 2002 as part of a Deliverance Ministry Team. She traveled to Accra, Ghana in West Africa in 2005 as part of a mission ministry team. In 2004 and 2008, she was elected by her peers to serve as a delegate to the General and Southeastern Jurisdictional Conferences of the United Methodist Church. Rev. Lewis has been in full time ministry for fourteen years and is an excellent teacher and preacher of God’s word. Currently, she is pursuing a Doctorate in Ministry degree and is enrolled at the Wesley Theological Seminary in Washington, DC. Candace enjoys spending time with family and friends, reading, listening to music, travel and meeting new people. God has given her a powerful message to the body of Christ, which she delivers under the power and anointing of the Holy Spirit. Dr. Phil Maynard serves as Director in the Center of Congregational Excellence (Florida Conference); Executive Director, Path 1 Coaching Network (General Board of Discipleship) and Director, Excellence in Ministry Coaching. He is a growing disciple of Jesus Christ, a husband (Becky), a father (Amanda & Joshua), and grandfather (5 grandchildren). Phil served as a pastor in local congregations (sizes 90 – 1000) for over 20 years and his heart is still in helping congregations help disciples of Jesus Christ reach their full potential. Phil helped plant a new congregation in 2006 as a multi-site campus that is now an independent church. Dr. Maynard has led dozens of churches through the process of transformation, has consulted with dozens more, and in addition, now coaches & trains leaders and trains coaches to work in ministry coaching. Being a life-long learner as well as passionate about coaching, Phil has done general coach training through On-Purpose Ministry, CoachU, and Coaching4Clergy. He has also done Advanced Coach Training through CoachNet, facilitation/coach training through Church Resource Ministries, and is a licensed trainer for NCD and a certified Conflict/Mediation Coach through Peace Maker Ministries. Phil is a graduate of Duke Divinity School (M.Div & Th.M); University of Kansas (M.S. Ed); and Drew (D.Min). He is a contributing author for the Transform One resource (ChurchSmart) and co-author of Discovering the Possibilities.